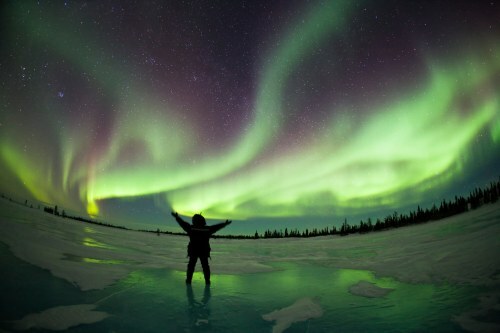 Toronto to Reykjavik, Iceland - $165 to $180 CAD roundtrip including taxes | winter travel, last chance for northern lights? 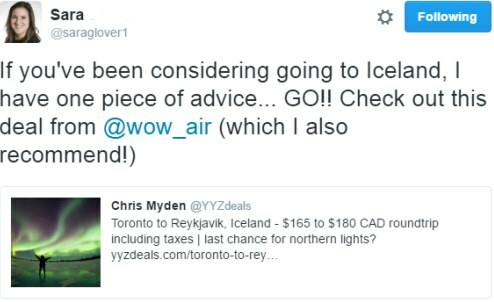 4 Responses to "Toronto to Reykjavik, Iceland - $165 to $180 CAD roundtrip including taxes | winter travel, last chance for northern lights?" Update @ 2:30 PM EST: It looks like the promo code is not currently working. WOW Air had previously announced that this code would be valid until 7 PM EST. Seems like they might have deactivated it early. Code worked for me. I ended up booking flight to Dublin (275 Cad return taxes in). This was amazing deal. Cheaper than going to Florida!